How Do You Differentiate Between Potential Health Coaches? A wide spectrum of health coaches exists today. On one end of the spectrum, there are those who have no training or certifications, but may have a great deal of experience with a disease or have worked in the disease field for a long time. On the other are doctors and licensed health care providers who offer coaching as part of their services or professional practice. You will need to decide for yourself what level of training and experience you want your health coach to have. Related to asthma it very well may depend on exactly what aspects of your asthma care you want to work on. One of the main considerations should be the health coaches experience in working with people like you. For example, if you want breathing training exercises, your doctor may not be the best person to provide that service, but you should talk with your doctor before adding that practice to your treatment regimen. If you want actual treatment from your health coach, then your health coach should be appropriately licensed to treat asthma. You will also want your health coach to be aware of any specific needs you may have or certain limitations because of your asthma. While not common, some holistic health coaches are also physicians or another licensed health care provider. These individuals have traditional medical training that qualifies them to address medical issues that come up during treatment. These dual trained providers are also trained to facilitate healthy changes safely and effectively in a holistic manner. How do you work with people holistically? 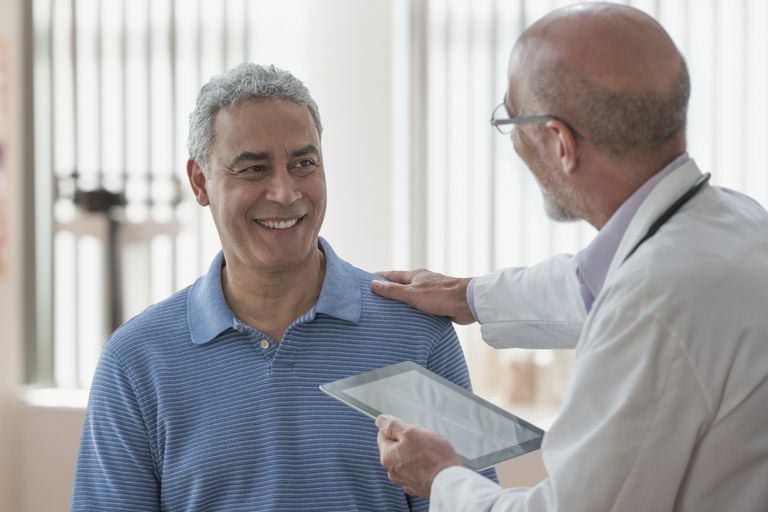 Treating patients holistically has been part of medicine for a very long time, but has only become more mainstream in the relatively recent past. As a result, not all coaches or health care providers have been trained or developed the skills to handle all aspects of your health! If your doctor openly acknowledges this deficiency in their training, they are very comfortable with allowing you to know the areas of medicine that they are uncomfortable (this is a good thing- see not all doctors are good communicators ). In fact, it’s uncommon for practicing clinicians today to be well trained in holistic medicine. Your coach should have the skills to address all of the primary reasons you are seeking coaching or have other professionals that you can be referred to if the need arises. You may be looking for non medication ways to help improve your asthma. This could involve a diet plan to lose weight, breathing exercises to to improve breathing, or skills to help with anxiety and depression. What are your tools for helping me get unstuck? Most people seek health coaching when they’re stuck, have resistance or can’t figure out how to overcome a particular barrier. Most people seeking coaching have made changes and not seen the results they wanted, encountered roadblocks after achieving a partial success, or fallen back to a pre-change position after some level of success. When my patients come to me because they are “stuck,” I generally explore the mental, emotional or spiritual factors impacting their health right after I ensure that the problem is not an uncontrolled medical condition leading to the patient’s symptoms. Nearly all of my asthmatic patients who smoke know it is bad for them and terrible for their asthma. Despite knowing this, nearly 1 in 4 asthmatics smoke. If I do not explore the mental, emotional or spiritual factors that are intertwined with their smoking, all the nicotine replacement aids I have at my disposal will not lead to lasting cessation. I find that if a patient is not willing to share or I am not able to uncover and address a patient’s fears, resistance, and self-sabotaging behaviors and thoughts, it is difficult if not impossible to help a patient become unstuck. These conversations can be both intimidating and scary. The emotional issues that sometimes come up in clinical care or coaching can be jarring for both the health coach and the person seeking coaching services. A health coach, like your asthma doctor, should feel comfortable with the uncomfortable mental, emotional or spiritual factors that come up during coaching. Depending on your coaches training, it may be appropriate for the health coach to address or they may need to have you seek other care and continue coaching after your other needs are addressed. When would you refer me to a licensed health care provider? As mentioned above, your health coach should make very clear what their scope of practice is. Most health coaches are not medically trained. Additionally, most are also not licensed to diagnose or treat medical or mental illness. This line can sometimes be very gray and you would want your health coach to have a clear idea of when a referral is appropriate. While having struggled through a disease like asthma, obesity or depression may give a person insight into that disease, it does not mean they’re certified or qualified to treat you medically or that what worked for them is appropriate for you. You should ask a health coach about their limitations and under what circumstances they would refer you to another provider. Consider asking them directly when would you say “I think a more thorough workup by a health care provider is needed.” A well trained and confident coach willingly and easily discuss both case scenarios with you. A good health coach should be comfortable with saying “I don’t know how to help you with this” and knowing that you need additional help. Would I still be in control of my health? If you at all get the idea that you are headed down a prescribed path from your health coach you should find another provider. What works for one person will not necessarily work for the next, and lasting change, whether asthma, weight, eating, exercise or any other aspect of your health, only occurs when you take responsibility and ownership of your health outcomes. One thing that sometimes frustrates my patients and health coaching clients is that It takes time. In order to develop the best approach for my patients and coaching clients, I have to intimately understand my clients, their needs, and what is impacting the particular aspects of their asthma or other issue we are addressing. With this understanding, I am better able to guide them toward the best methods and approaches for their health. In medicine and other aspects of life rarely does one size fit all! I love when people say to me, “that won’t work for me” because we get to come up with lots of ideas on how to make health work better for them. In fact, when something doesn’t work it usually helps us more specifically find what does … and this is how we create success in our health! I would ask a prospective health coach if selling supplements, foods, or other products is part of their plan? While not unethical or universally wrong, I personally do not think health coaches should be selling supplements, foods, or other products to their health coaching clients. If your coach is not a licensed medical professional, I do not believe supplements, foods, or other treatment products are within a health coach’s scope of practice, especially when you have asthma other medical conditions. In my opinion, selling products while providing coaching services is a conflict of interest. So if a potential coach sells health-related products in addition to their coaching services, I would be wary. What sets you apart from other health coaches? This question may help you learn that you have a shared health issue or experience with your prospective coach. I find that the answer to this question will also help you differentiate between a few coaches to see which of them you feel most connected to. What would be your general approach to helping me reach my goals? What specific coaching methods seem like a good fit for me based on our conversation thus far? Others draw from several styles and can adapt their approach to make sure you feel supported. How will we come up with a plan and set realistic health goals? How will you support me in achieving those goals? Heather D. Bennett, MD, Eric A. Coleman, MD, MPH, Carla Parry, ​Ph.D., MSW, Thomas Bodenheimer, MD, MPH, and Ellen H. Chen, MD. Health Coaching for Patients With Chronic Illness. What Kind of Doctor Should Care for Your Asthma? Do I Really Need to See an Asthma Specialist?